Below are the proposed Public Policy Priorities for 2018-2020 to be voted upon at the Annual Business Meeting. Download here. AAUW-PA’s public policy goals are to educate citizens about the impact of public policies on women and girls and to advocate for policies that will advance equity for women and girls. 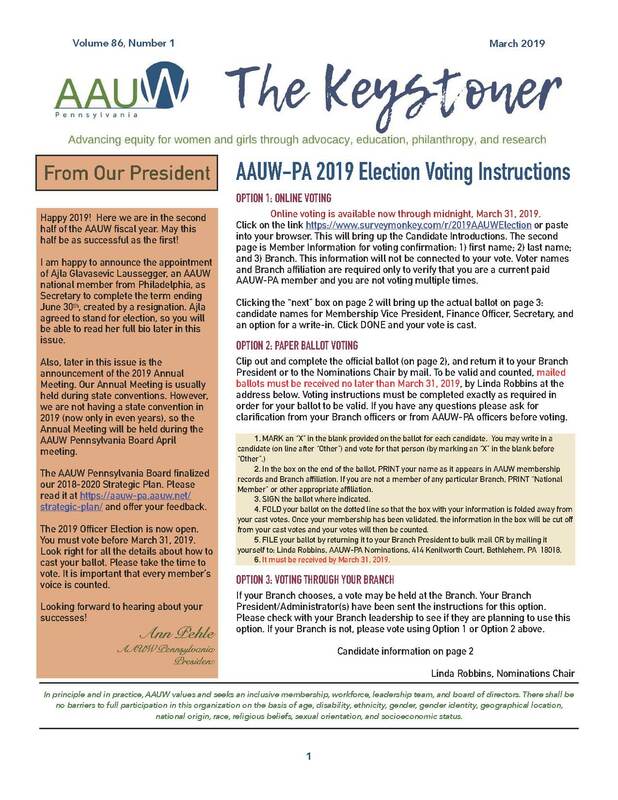 In Pennsylvania, AAUW actively endorses the national AAUW Public Policy Program. AAUW-Pennsylvania supports good governance, an informed citizenry, and community dialogue on critical issues. Biennial priorities are intended to complement national priorities and to be a focus for active educational and advocacy efforts by members in the state.